No one picks up the phone and everyone gets too much email. If you want to contact people for fundraising, a political campaign or marketing, texting is the way to go. But a generic mass text is more like spam than a convincing conversation. Hustle lets you personalize every message and turn it into persuasive one-on-one dialogue. Like CRM for SMS, organizers can assign lists of contacts to their reps and field agents, who text them from their own numbers and cajole them to get down with the cause. The potential to revolutionize both grassroots activism and corporate sales has won Hustle a new $8 million Series A led by existing investor Social Capital, whose founder Chamath Palihapitiya sits on Hustle’s board. That brings Hustle to over $11 million in funding to take the lessons it learned as Bernie Sanders’ texting tool for the 2016 presidential election and bring it to all kinds of organizations. Lindsay is well-versed on measuring what engages people. For six years he worked as one of Facebook’s first data scientists. His penchant for politics shone through, as Lindsay helped run Facebook’s congressional hackathon on Capitol Hill. In 2014, Lindsay hooked up with former Obama ’08 Nevada new media director Perry Rosenstein to form Hustle. [Disclosure: Rosenstein and I were two of the co-founders of a social meetup utility called Signal that shut down before Hustle’s creation.] They set out to build a communication tool that combined the intimacy and ability to compel action of phone calling or door-knocking with the affordability and scalability of text messaging. Here’s how Hustle works. Organizers build a phone number database, and write script templates on Hustle’s desktop app for the messages they want to send out. Their volunteers or representatives get assigned groups of contacts to ping through Hustle’s app, which automatically fills in variables in the scripts like the recipient’s name or how they got involved. The reps can rapidly send these messages via their own phone numbers, and reply like normal to answer questions or coax them into participation. As respondents agree or decline to pledge money, show up to an event, volunteer or buy something, reps can mark their progress in Hustle’s analytics dashboard that tracks who they’ve contacted. And now Hustle is forging partnerships with payment processors and CRM systems to automatically track when recipients take action. Clients pay Hustle a monthly fee per contact in their database, starting at $0.30 per person. While Hustle launched with a focus on politics, Lindsay says “We’re starting to do a lot of stuff beyond campaigns and advocacy. 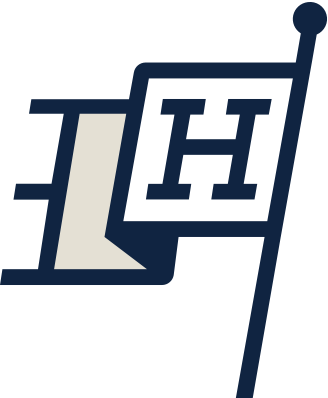 Higher education is a big growth area for us.” Now 30 schools are using Hustle for fundraising, like soliciting alumni donations without annoying phone calls. Amherst was able to double participation in its young alumni fundraiser from 10 percent to 21 percent using Hustle. Those contracts have driven Hustle’s 40-person team to a $3 million annual recurring revenue runrate. And now Hustle has $8 million more to spend on accelerating growth. Joining Social Capital in the Series A are Canvas Ventures, Designer Fund, Foundation Capital, GSV Acceleration, Higher Ground Labs, Index Ventures, Kapor Capital, Matrix Partners, New Media Ventures, Omidyar Network, Twilio.org Impact Fund and Salesforce Ventures. That last one could provide a well-aligned exit opportunity one day that could give Salesforce the same grip on text that its CRM has on email. “People respond to other people in a fundamentally different way than they respond to automated communication and bots,” Lindsay proclaims. The cash will go first to building out Hustle’s platform and API so it can do more conversion tracking. That way, “If they say they’re going to give but haven’t yet, you can follow up,” says Lindsay. Hustle will also build out its sales and marketing teams for different verticals, growing its San Francisco, New York and DC offices. Its engineering team will grow, too, as it continues to support its iOS, Android, web and API surfaces. Of course, for all of texting’s influence, it’s still only a piece of the communications puzzle. Hustle will need to develop ways to mesh better with the rest of an organization’s outreach strategy. And it will have to fend off clones trying to undercut its pricing. Hillary Clinton’s campaign developed its own version called MegaPhone rather than pay for Hustle. Then there’s the issue that some people will still see Hustle’s texts as spam even if they’re sent by a real person from a real number. The startup may need to set frequency limits or usage restrictions to prevent clients from abusing Hustle. Most startups stay away from polarizing politics that could limit their business, but Hustle refused to stay neutral. “We’re focused on building a strong business supporting clients in the Democratic Party and Progressive movement, and expanding into markets like Higher Ed and relationship-driven enterprises,” Lindsay says. Hustle is the kind of tech the world will need to claw back government from blustering leaders who exploit fear to divide people. Lindsay says Hustle wants “to make people feel like participants in the system and not just observers.” Motivated grassroots organizations can use Hustle to leverage the passion you see seething on Twitter into actual progress. But that can’t wait until 2019. “Voter communication isn’t something you just need to do 30 days before the election,” Lindsay concludes. Whether it’s a campaign or a donation drive, people need to feel like there’s a person on the other end rooting them on like a personal trainer. Hustle conveniently puts that trainer in people’s text inbox.